Who knew Philly cheesesteaks could so easily transform into a light summer dinner? These foil packs take out the carbs (who needs those anyways?!) 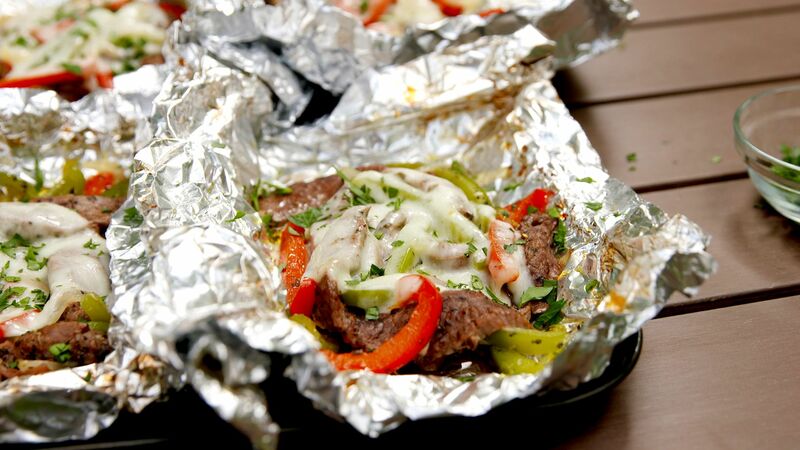 with slices of flank steak, peppers, and onions topped with melty provolone.